Emma Thompson on Love Actually: The pain in 'that' scene. "I had my heart very badly broken." 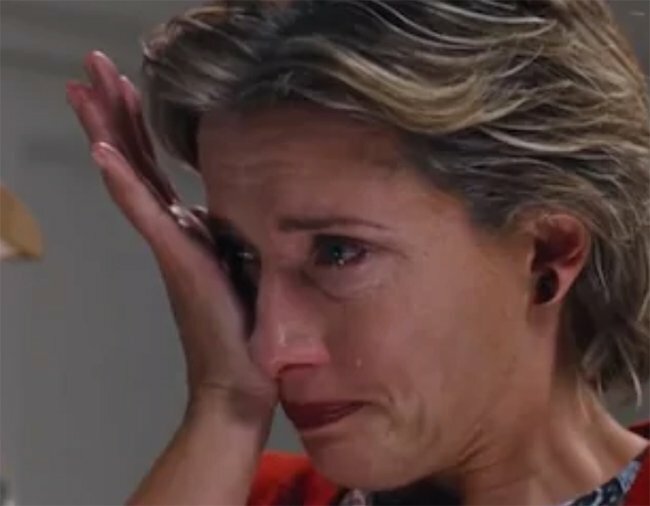 Emma Thompson's real pain in 'that' Love Actually scene. You know the scene. It hits you right in the guts. Emma Thompson, as ‘Karen’ in Love Actually, bent over with one hand clutching her stomach, the other white-knuckling the wooden dresser in the bedroom she shares with her husband in the film, Alan Rickman’s Harry. Karen has just discovered Harry is cheating on her and she’s there, trying to stop the tears and ease her nausea, so as not to ruin her child’s big night starring in the school’s Christmas play (as a ‘nativity octopus’, no less). Karen (or Thompson, it’s hard to know where one ends and the other begins) brushes the bedspread smooth in a heartbreaking act of keeping up domestic appearances, despite the pain within. Almost every woman recognises her struggle and it’s a 15 second scene that stays with you long after it’s over. Now, Thompson herself has spoken about the pain she felt while doubled over in front of that dresser. Watch the scene here in full. Post continues below. “That scene where my character is standing by the bed crying is so well known because it’s something everyone’s been through,” Thompson, 58, told a fundraiser at the Tricycle Theatre in London last night, The Sun reports. She is referencing her first husband, actor and director Kenneth Branagh, 57. The pair met while filming in 1987 and married two years later. 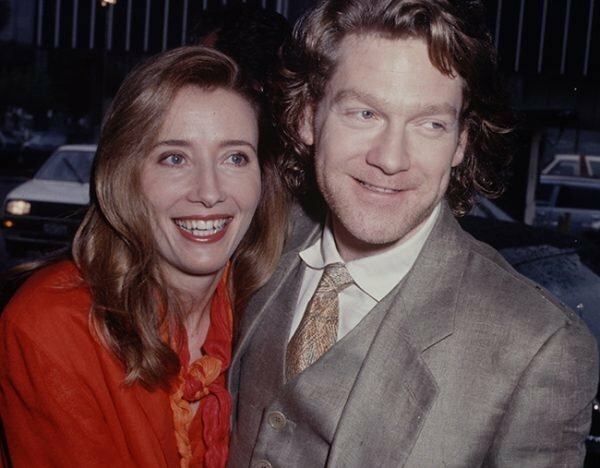 Thompson and Branagh were dubbed a "golden couple" by the media but, in September 1995, they released a statement saying: "It is with great sadness that we have decided to separate". They cited work commitments, and blamed the grind of filmmaking that meant they were apart too frequently and for too long. Later, it emerged, the reason for their split was that Branagh had fallen in love with actress Helena Bonham Carter, 51. "I’ve had so much bloody practice at crying in a bedroom," Thompson has said in other interviews, Daily Mail reports. "Then having to go out and be cheerful, gathering up the pieces of my heart and putting them in a drawer." Following the split, Thompson went through a period of immense depression, telling The Guardian she stayed in her apartment, dressed in an old bathrobe of Branagh&apos;s and tried to stop the "critical voices in my head". "I don&apos;t think I did stay sane," she said. "I should have sought professional help. Divorce. Ghastly, painful business." Thompson remarried in 2003 to fellow actor Greg Wise, they have two children together. She has since said she&apos;s "made peace" with Bonham Carter because "you can&apos;t hold onto anything like that". Branagh and Bonham Carter dated in a very heavily publicised affair for five years. He is now married to film art director Lindsay Brunnock, and Bonham Carter was married to author and director Tim Burton until they announced their separation in 2014. LISTEN: Jessie&apos;s relationship theory will blow your mind.